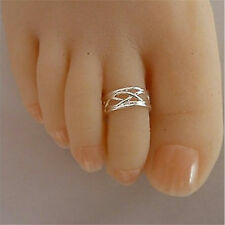 8Pcs/set Toe ring. 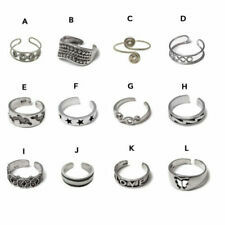 Type: Finger/Toe Ring. Color: Silver. It's a perfect accessory, also a good gift to your friends. Size: One Size Fit Most(Adjustable). Fashion, Charming and Unique design. Quantity: 12PCs/set. It's a perfect accessory, also a good gift to your friends It will make you beautiful on picture. Suitable for any season. Item Type:Body Jewelry. Body Area:Nose. Comfortable to wear,Anti allergy. 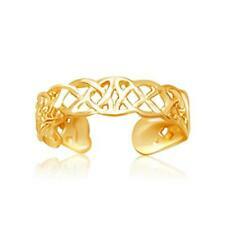 3 Pcs Ring Set. The good gift for friends, family, coworkers and so on. You may also like. Rate (item arrived). United Kingdom. Stretchy toe ring with 3 rows of rhinestone around it Color: multicolor Material: alloy rhinestone Description: Inner Diameter: 1.7-3cm /0.66-1.2 inch (adjustable) Width: 9mm Size: Fit most Package Includes: 1 x Toe Ring Brand Unbranded MPN Does not apply UPC 4894462345764. Stretchy toe ring with 2 rows of rhinestone around it Color: silver clear Material: alloy rhinestone Description: Inner Diameter: 1.7-3cm /0.66-1.2 inch (adjustable) Width: 6mm Size: Fit most Package Includes: 1 x Toe Ringprotettiva posteriore Brand Unbranded MPN Does not apply UPC 4894462371022. Color: Silver. I am very glad to reply to all inquires. Hope you can understand! 8PCS/SET Toe Rings. Open Adjustable. 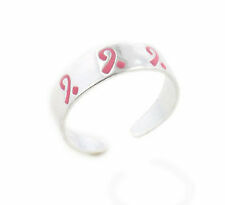 Type: Finger/Toe Ring. Color: Silver. Note: Due to the difference between different monitors, the picture may not reflect the actual color of the item. the product in the picture maybe larger than actual one. Size：adjustable. Color：as the picture show. 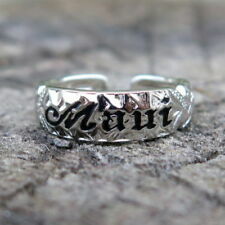 Type: Finger/Toe Ring. Quantity : 8PCs/set. It's a perfect accessory, also a good gift to your friends. 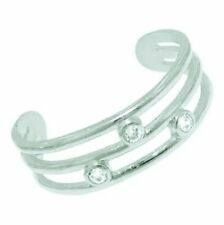 Stretchy toe ring with a row of rhinestone around it Color: silver clear Material: alloy rhinestone Description: Inner Diameter: 1.7-3cm /0.66-1.2 inch (adjustable) Width: 3mm Size: Fit most Package Includes: 1 x Toe Ringprotettiva posteriore Brand Unbranded MPN Does not apply UPC 4894462371015. 8PCS/SET Toe Rings. Open Adjustable. 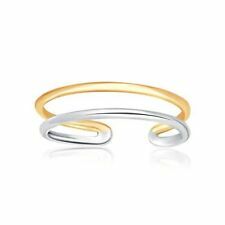 Type: Finger/Toe Ring. Color: Silver. High quality in EU and US quality standard. the product in the picture maybe larger than actual one.